An MLP-themed desktop wallpaper that I recently cooked up. 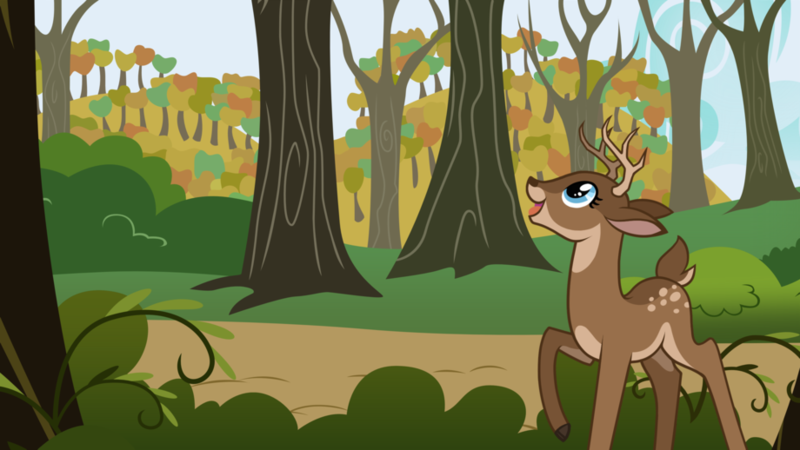 ^^ Rabsy is thoroughly enjoying the fall colors in the Tall Trees Grove of the Whitetail Woods! Background by Turbo740 on deviantART, adapted from a scene in the MLP:FiM episode "Fall Weather Friends." My ponydeersona was conceptualized and drawn by shadowwolf. Background design belongs to Hasbro Studios. Looks like a suitable desktop wallpaper, if you asked me... :) d.m.f.